With the first half of the day being very overcast, the Dallas Area Rockets Society's Heart of Texas, H.O.T. (my flash promotion for the event) was a lot more comfortable than I had expected. The other pleasant surprise was how great carpooling to a launch can be. 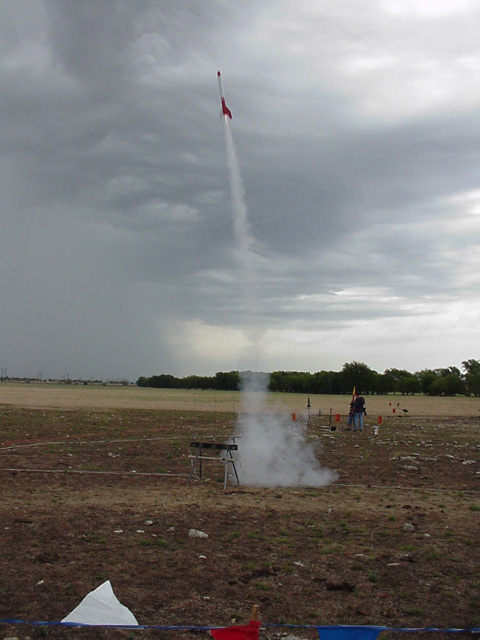 It's a great time to share construction ideas and get to know other rocketeers. If you can provide any information on any of these images please contact me. 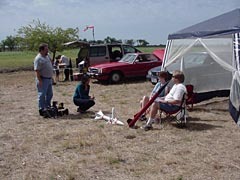 At McGregor, we seem to get local news coverage with every launch and this one was no exception. Tim and Beth Sapp prep for an interview with a local television station. 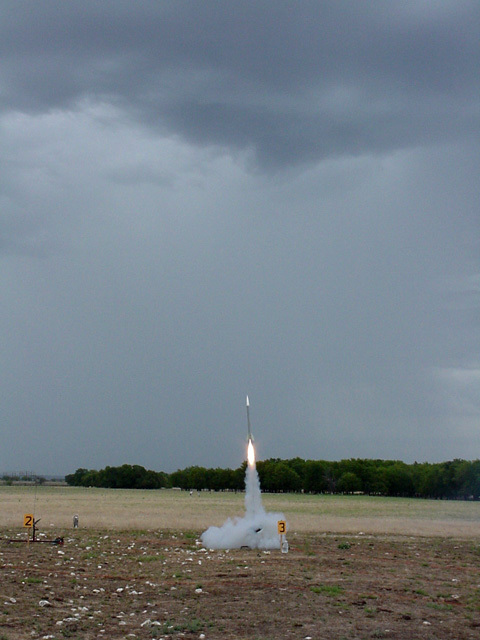 This was the first launch that I focused on capturing a few still images with my digital camera. 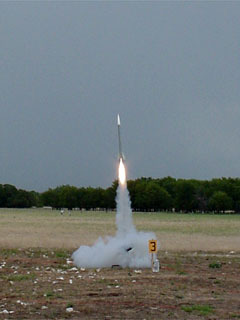 Here an Estes Big Bertha blasts off the model pads.